The holidays have passed, yet Valentine’s Day is right around the corner making this time of year very popular for marriage proposals. Getting engaged is a very exciting time for couples as they begin to ponder their new life together as husband and wife. Once the ring has been placed on her hand, the bride to be may start to think…what’s next? While we can’t help with these details, we can make a key suggestion of where to start….protect the ring!! 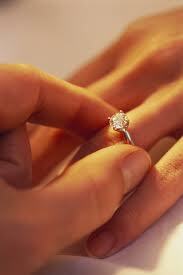 True the ring holds a monetary value, but even more valuable is the sentimental value. Now is an important time to contact your insurance agent and add your valuable new accessory to your condo, tenant or homeowners policy. It’s simple & affordable way to be sure your ring is protected.